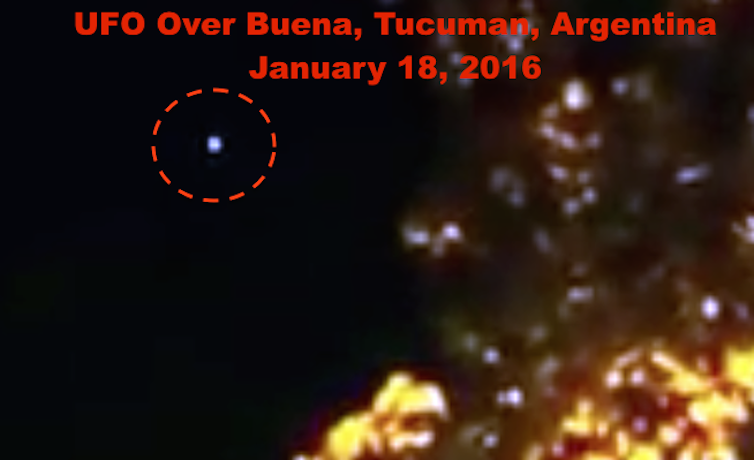 UFO SIGHTINGS DAILY: Glowing Blue UFO Over Argentina On Jan 18, 2016, Video, UFO Sighting News. Glowing Blue UFO Over Argentina On Jan 18, 2016, Video, UFO Sighting News. In this video we see a moment with two UFOs in it. The objects move unusually and suddenly speed up and slow down. They have their own source of illumination, but as they were close to the streetlight, they became easier to see. Awesome catch, I wish I had been there to see that. 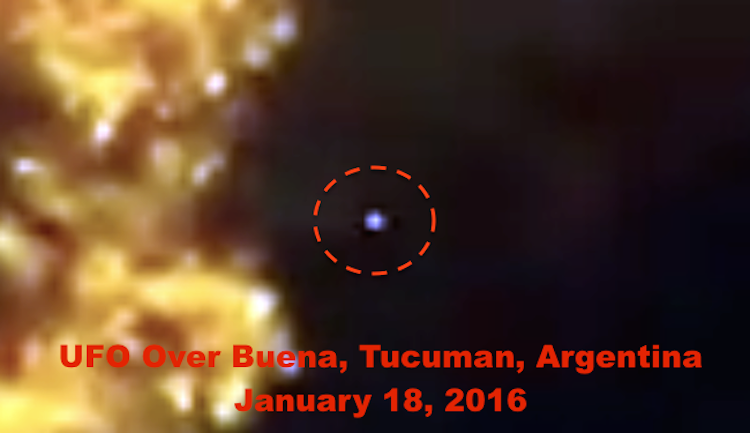 Anomalous Object Over Tucumán The video shows the flying object over the city of Yerba Buena (Tucumán Province). After a series of movments, it rises swiftly and disappears. A video published on YouTube displays an alleged UFO in flight in the skies over the Province of Tucumán, more specifically the city of Yerba Buena. "A mighty UFO filmed over Yerba Buena this Monday at 21:15 hours," said the reader who submitted the clip to Diario Contexto (newspaper) via WhatsApp. "I recorded it from the 300 block of Aconquija Avenue. Another UFO passed by shortly, distancing itself quickly. The distance kept me from recording it," he added.